We’d love your help. Let us know what’s wrong with this preview of Aisha by Reşit Haylamaz. To ask other readers questions about Aisha, please sign up. Knowing how fervently I love A'isha RA, it's no wonder that I enjoyed this book. Although she was already one of my biggest role models prior to reading this, Reşit Haylamaz increased my love, admiration, and respect for the mother of the believers tenfold. This book is well-referenced and generally accurate, and makes me want to strive to be more like this intelligent, inspirational woman. I don't like rereading books but I'm considering rereading this one with the company of a few highlighters Knowing how fervently I love A'isha RA, it's no wonder that I enjoyed this book. Although she was already one of my biggest role models prior to reading this, Reşit Haylamaz increased my love, admiration, and respect for the mother of the believers tenfold. This book is well-referenced and generally accurate, and makes me want to strive to be more like this intelligent, inspirational woman. I don't like rereading books but I'm considering rereading this one with the company of a few highlighters and pencils/pens to annotate and absorb the information more. Alhamdulilah, a great read and excellent reference book. This book has a very detailed description of Aisha (RA) knowing that she had the unique opportunity of being the closest person to the Prophet (ﷺ). The book itself is very informative on the life of Aisha (RA) and that from a whole new perspective. As the reader I'm immediately drawn into the colourful relationship between herself and the Prophet (ﷺ). The writing is artless; and by that I mean it has a simple lucidity to it that makes it flow like water. Overall, it's quite an inspiring book. It This book has a very detailed description of Aisha (RA) knowing that she had the unique opportunity of being the closest person to the Prophet (ﷺ). The book itself is very informative on the life of Aisha (RA) and that from a whole new perspective. As the reader I'm immediately drawn into the colourful relationship between herself and the Prophet (ﷺ). The writing is artless; and by that I mean it has a simple lucidity to it that makes it flow like water. Overall, it's quite an inspiring book. It teaches us to be moderate individuals, to strive in the path of Allah. To constantly seek knowledge about our faith, our roots, and our background. But at the same time to never forget Rabb, the Creator and the Educator. This book really help me to understand the woman besides Muhammad p.b.u.h. She was great as a scholar, faithful as a wife and also was very determine person who always seek the truth and justice through out her whole life. Reading this book inspired me to always be a moderate person who always seek knowledge and never forget Rabb, the Creator and the Educator. It is a good book. Discussing a lot of things and almost every aspect of Aisha's life. Slightly disappointed as it does not contain enough material on the severed relation between her and Ali. Still a very good book to read! This book makes me want to strive to be a wife like Aisha r.a towards my husband. This review has been hidden because it contains spoilers. To view it, click here. A very interesting reading experience. In some parts of the book, I could smile and laugh a bit finding the cuteness between Prophet Muhammad SAW and Aisha RA. Yet, in the other parts of the book, I could admire her for her well-known knowledge about this deen. 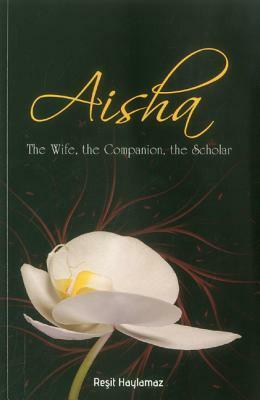 This book does not only discuss Aisha the whole, but also discuss the situations arisen around her during her life. There are so many things new to learn for me through this book. It sheds new lights about Prophet Muhammad SAW, his wives, A very interesting reading experience. In some parts of the book, I could smile and laugh a bit finding the cuteness between Prophet Muhammad SAW and Aisha RA. Yet, in the other parts of the book, I could admire her for her well-known knowledge about this deen. This book does not only discuss Aisha the whole, but also discuss the situations arisen around her during her life. There are so many things new to learn for me through this book. It sheds new lights about Prophet Muhammad SAW, his wives, the Companions, and the general Muslim community at that time for me. This book humanizes them and makes me adore them more. A rather hilariously subservient book, completely worshipful and interesting at the same time. Really interesting look into the life & character of Aisha bint Abi Bakr. Only downfall was the disjointed writing which was a bit confusing at times. Great story. Great character. Great author.